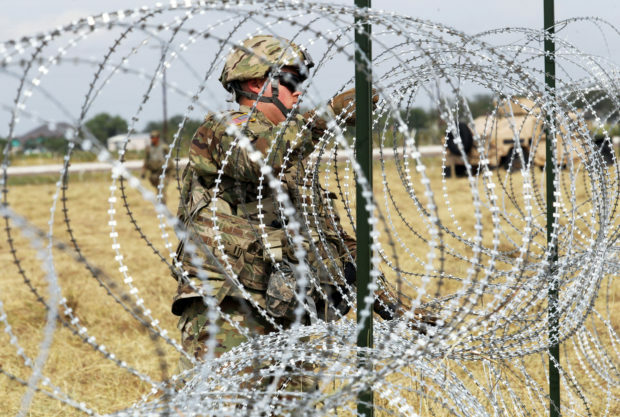 U.S. troops are working with their Border Patrol colleagues to help secure the southern border with Mexico by installing barbed wire. As Fox News reports, they are reinforcing the border at what officials perceive as key sections, including putting 1,000 feet of the sharp fencing across the Rio Grande. There are reportedly four migrant caravans heading towards the U.S., numbering an estimated 12,000 people. The first two allegedly have migrants fighting with the Mexican border patrol and carrying guns and Molotov cocktails.